It is, of course, common knowledge that to play the bagpipes you need to wear a kilt and be Scottish, right? You also probably ought to be a man? Well common knowledge can be mistaken. 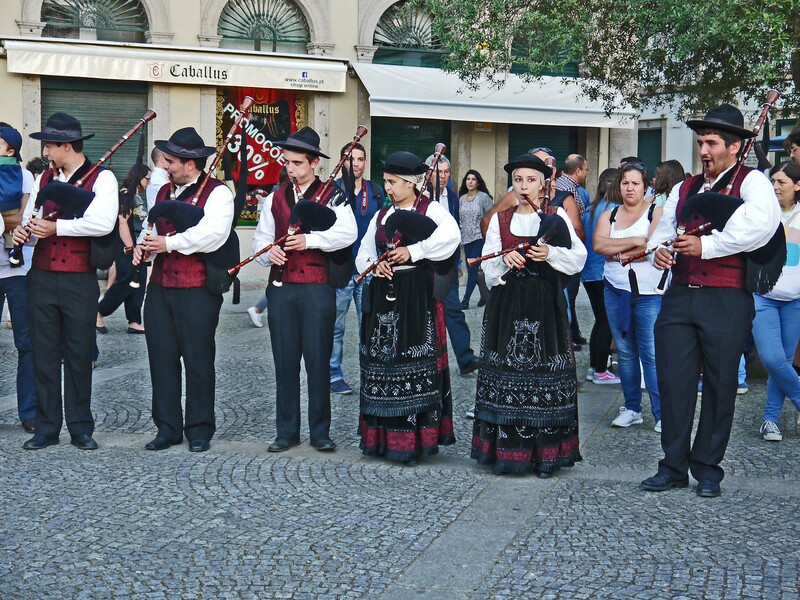 Here in Portugal there have been bagpipes for centuries; they are played by men and women in Portuguese traditional dress; they are known as 'gaitas'; and the pipers won't be playing 'Amazing Grace' but traditional Portuguese folk tunes. To read more about Portuguese bagpipers, click here. You might claim that they must have been brought in by some British invaders or other, maybe the western crusaders who came to help Afonso Henriques win a country and crown as in the story of the Almada family of Lanheses, From Crusader to Count. After all you can find bagpipe bands in India because we invaded. But before we assume that is the case, let's think about the Celtic fringe. There are bagpipes in many parts of Portugal but most groups are in the north, in areas adjacent to the Spanish province of Galicia, where you can find bagpipes too. Does that remind you of anything? The French for Wales is Pays de Galles – the land of the Gaels, perhaps? So is Galicia another land of Gaels? Let's go back to the Minho. All over this part of the world, often atop hills and outlooks, you can find rings of stone that once were houses in hamlets. The Portuguese call them citânias. 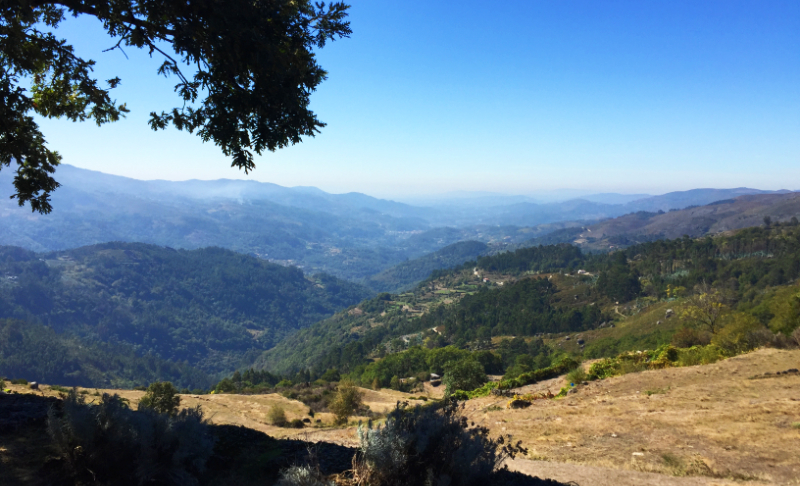 The most famous of these, which is just outside Braga, is called Briteiros. (I'll write of this again one day.) Does that remind you of anything? Britain? Bretagne - the Celtic fringe of France? You can find bagpipes there too. If you look at the Minhoto people, it's surprising how many are fair-haired, how many are tall. These are not the small-boned, olive skinned people found on Medieterranean shores; they are not even like those found in the Algarve. Wasn't water the road of the ancients? In pre-history, you could travel in a boat far more easily than overland. Don't you think the Celtic peoples of Wales, Ireland, and Britany were in constant contact with their cousins in north-western Spain and Portugal? Wouldn't they have exchanged ideas and customs, perhaps even inter-married? 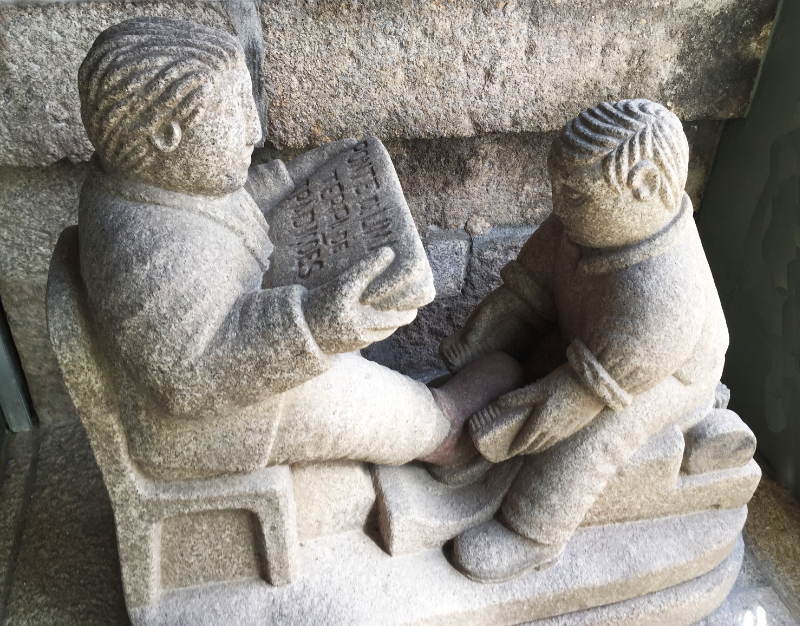 Folk memory is long and there might be similar tales still told with local adaptations, perhaps similar tunes played or carvings made on granite hillsides. There is more here than meets the eye. Believe me, though, the bagpipes of the Minho are indigenous, Portuguese pipes. The pipers above are members of the band from Sao Tiago de Cardielos, Viana do Castelo. They travelled the 20 kms or so to Ponte de Lima to entertain us after the Vaca das Cordas last year, which I wrote of in July 2014. As you can see above, pipers often come with drums. There are tambourine players, too. The reverberations the women below can bring forth from a tambourine are skilful and amazing. The tunes the gaita band chose were some I have heard at other festivals played on accordions, guitars and the curious instrument called the tréculas, which I told you of in 'The Language of Flowers – the Meaning of a Carnation'. Many were dance tunes and in Ponte de Lima at the Vaca das Cordas festival some in the crowd danced to them. 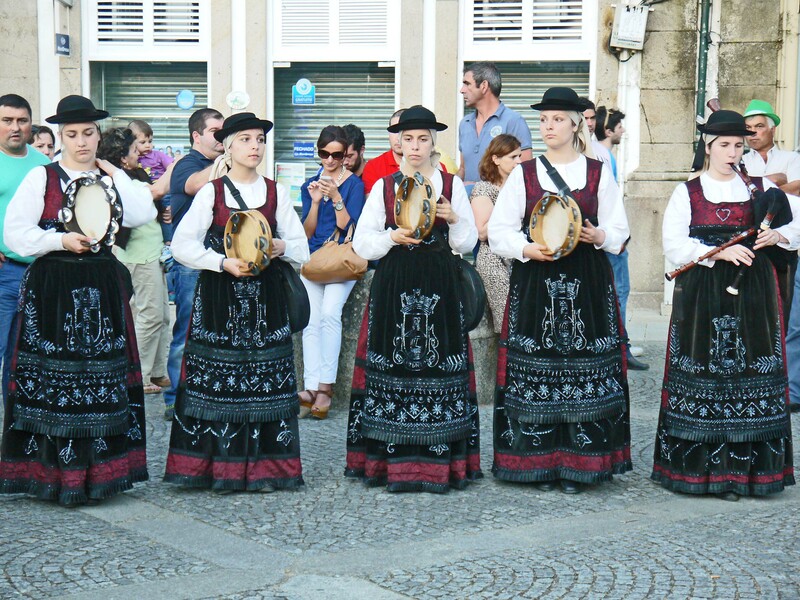 In fact, no Portuguese festa, whether saints day, semi-pagan festival like the Vaca das Cordas, or local wedding would be complete without a folklore group. Do you have a special occasion to celebrate? 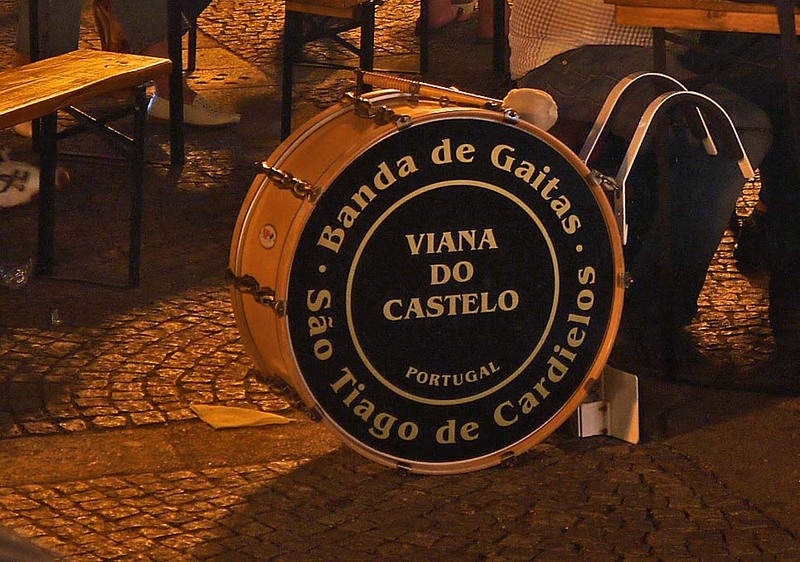 You could book the Banda de Gaitas São Tiago de Cardielos for your party if you wished. Why not? I liked the arrangement you have made for this pipe band and I love to hear band. I couldn't participate in any band teams during my school days and college days as I was selected for some other teams. It's never too late to start. If you live in the north of Portugal there are lots of groups, 'ranchos', which play music regularly and which I am sure would love to welcome you. Just as I say at the end of most of my stories, what matters is the contribution. You would almost certainly make friends and enjoy the hobby. Let me persuade you to take up playing an instrument and to seek out a local group and join it. I'm sure you won't regret it. love history, we are all connected in some way. I am part of the celtas. I'm glad you enjoyed the story. With the first name Mary Jo and the family name Cabral, I guess you are half Portuguese but perhaps don't live in Portugal. If you don't, I do hope you get a chance to go there s sometimes. 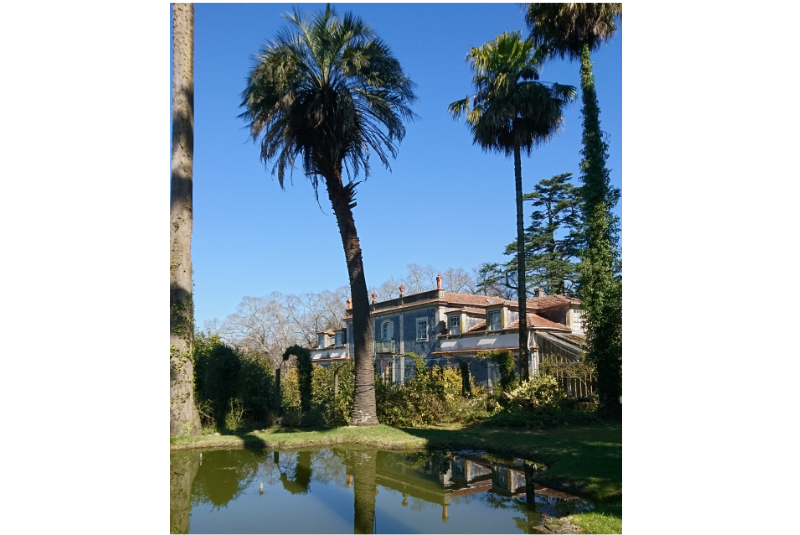 It's a wonderful, fascinating country with kindly people and the Minho really is the heart of traditional Portugal. The pipe and tabor is one of traditional and oldest musical arrangements. Amongst the nations to recollect a pipe and tabor tradition is Portugal, where the instrument is still used in their traditional music-making. 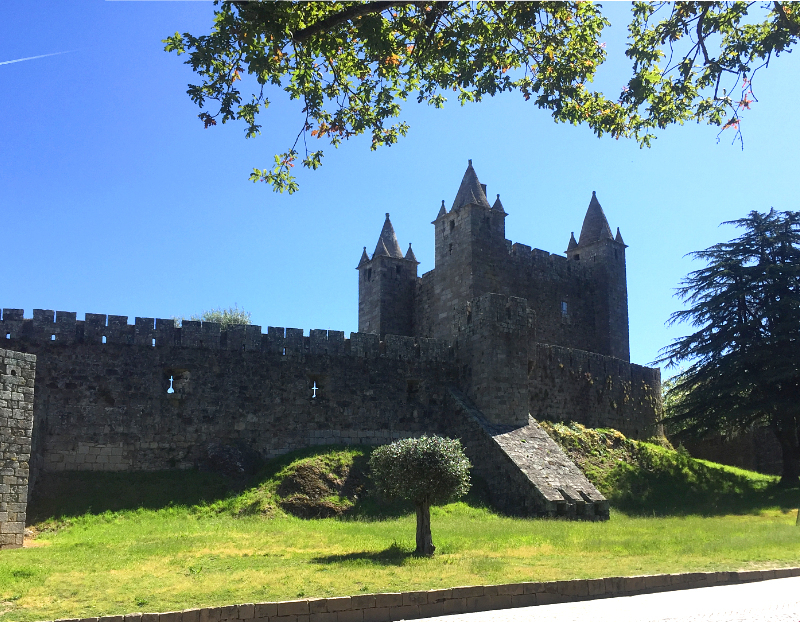 Thanks for sharing such a nice post on Portugal’s Celtic fringe &The pipe bands of the Minho with us. You sound knowledgable about musical instruments and their distribution around the world. If you know more about the Portuguese pipes, do share your knowledge with us. I like to learn and I'm sure my readers do too. I'm glad you enjoyed the post and thank you for your comments. Loved reading this beautiful content on Portugal’s Celtic fringe & the pipe bands of the Minho with us. I am myself an academic writer at Quality Assignment UK and I appreciate the way it’s written here. I will share it with my college people who loved traditional and oldest musical instruments. Thanks for sharing it here. I'm so pleased you enjoyed this post. I hope you have had chance to enjoy the pipes of the Minho yourself. If not, do try to go and hear them. I am always so impressed by how the people there keep up their traditions. You see tiny children playing instruments in the processions and parades that take place throughout the year. If only we encouraged the playing of instruments in the same way in the UK! It is good to see and know about the folk tradition of Pipe bands of Portugal. I loved the costumes and the way as they are playing a music through an antic music instruments. As should be obvious above, flute players regularly accompanied drums. There are tambourine players, as well. 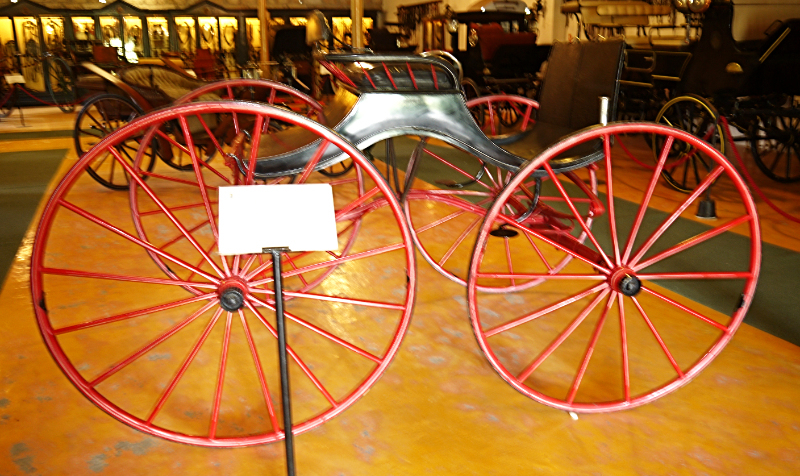 The resonations the ladies beneath can deliver from a tambourine are skilful and astonishing. Glad you like the story. i hope you'll find some of the others interesting too.